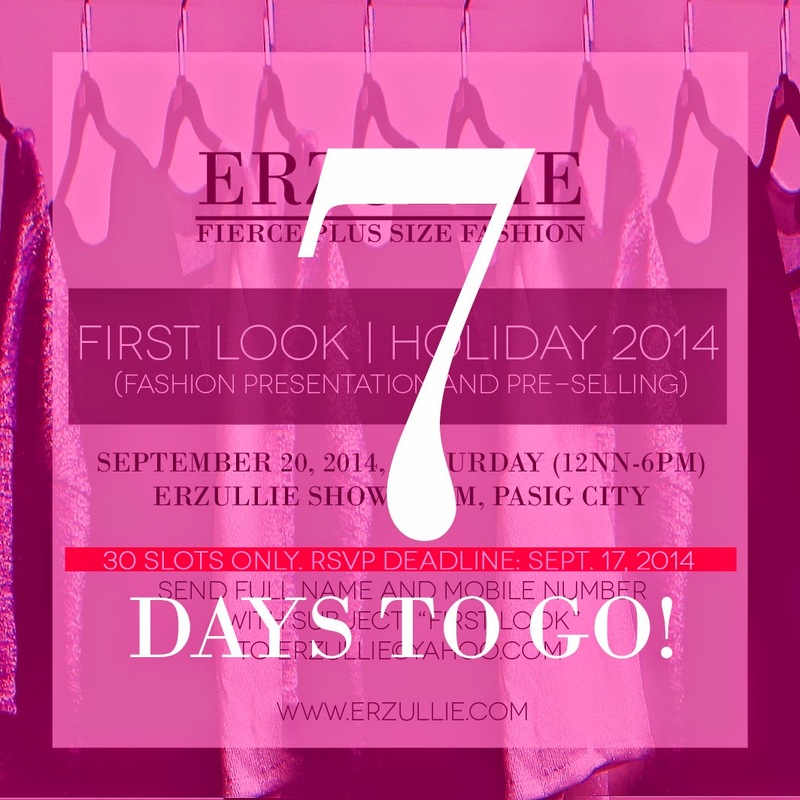 We are so excited to see you ladies at the Erzullie First Look: Holiday 2014 event on September 20, 2014, Saturday, 12NN-6PM at the Erzullie Showroom, Villa Sole, Pasig City. We would like to thank all of the Erzulliestas that RSVP’d. You girls, as usual, are amazing! PLUS SIZE EVENT: 30 SLOTS FILLED UP! 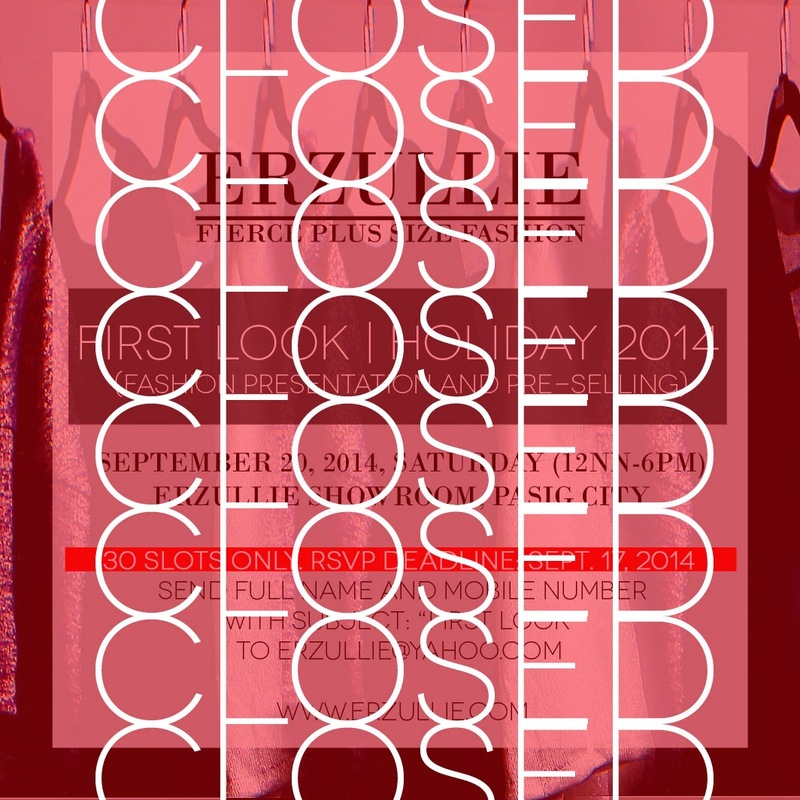 RSVP FOR THE ERZULLIE FIRST LOOK | HOLIDAY 2014 COLLECTION IS CLOSED! We would like to thank all of the 30 Erzulliestas that RSVP’d for the Erzullie First Look: Holiday 2014 event. You ladies are awesome! We have been sending you ladies some updates so make sure that you check your emails both inbox and spam for the latest! You ladies will be enjoying a fashion presentation, socialization and of course, 50% off on selected items on September 20, 2014, Saturday, 12NN-6PM at the Erzullie Showroom, Villa Sole, Manggahan, Pasig City.